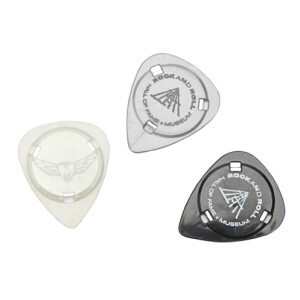 Stop losing your guitar picks with these collectable magnetic picks. These picks will stick right to your strings so you never have to go rummaging through your gig bag for a pick again! Pack of 3 picks: silver, black, and opaque glitter; all with the Museum logo on the front. A necessity for every guitarist.